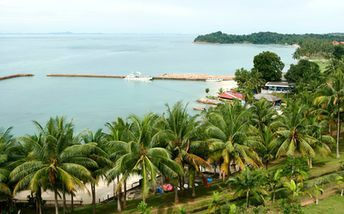 This island ranks #3 of the "Best islands in Singapore"
Most hotels are located in the north of the island near the city of Nagoya. Fly to Singapore Changi Airport (SIN). Ferry from Singapore to Batam takes 25-45 minutes each way (depending on the port of departure-arrival) and costs SGD 23 for the round-trip. In the dry season from February to September.